Later today, I will visit a dear friend for a short visit. Just a few days ago, we had a long conversation, and at one point, touched on the concept of success. What makes for a life well lived? My view, I told her, was that success was not based on fame, money, a rocket-ride career or anything else. It is best defined by the love that a person lives throughout their life. You can have all of the former, but without the latter, you are just an empty vessel. The world right now is in a pretty awful space. We have many people who are so focused on ‘winning’ that they have lost all of their compassion and caring. Their soul of decency has disappeared because they define their success in their ability to demean, insult and disparage others. They are so focused on protecting what they have that they relentlessly target the poor and those who are less fortunate. They are so ‘anti’ everything that it is impossible to know what they actually stand for. They rage with hate in a world in which there are those of us who still know that at the end of the day, love is the only real thing that we have. They profess to live a life to honour some sort of God, but if you believe there is one, you will surely know that she is looking down with absolute disgust and fury. At the end of the day, if you live full of integrity, decency, respect and understanding, you are a winner. If you spend many of your waking hours focused not on yourself but on those around you, you have achieved a greatness that not many others will ever know. 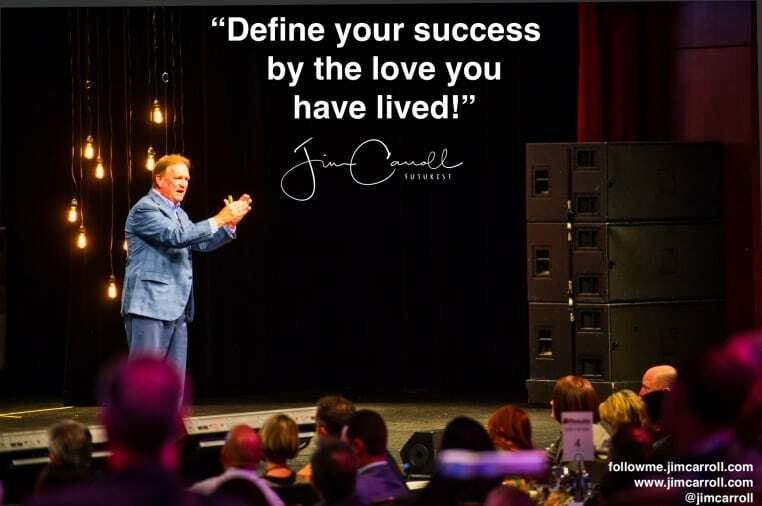 If you look back at your life’s work and see hundreds who have been touched by your love, you are the definition of successful. If you live a life in which, when they constantly go low and you choose to go high, you have the integrity of success in your soul. Today will be a challenging day, but one filled with love, and defined by sharing the joy of life well lived. Make your day like that too.